David is an operational improvement performance expert specializing in on-site leadership of EHS programs. As a Managing Director at EHS Partners, he focuses on generating sustainable performance improvement and significant financial impact at each EHS client. For over 20 years, David has provided his expertise in performance improvement and strategy to Fortune 500 companies in a variety of industries, including defense, energy, financial services, healthcare and materials. 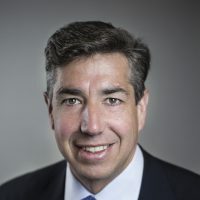 Prior to joining EHS Partners, he was the chief executive officer at Civitas Group LLC, where he led the firm providing strategic consulting services to companies in the defense and security sectors as well as to federal, state and local governments. Additionally, he spent four years at McKinsey & Company, leading broad efficiency enhancement projects across multiple commercial sectors. David served as Special Assistant to the President and Senior Director for Emergency Preparedness and Response at the Homeland Security Council at the White House. He was the chief of staff to the President’s Critical Infrastructure Protection Board and served as a principal in the development of the 2003 National Strategy to Secure Cyberspace. David spent four years as a Special Warfare Officer in the U.S. Navy, including leadership of a SEAL Team detachment during Operations Desert Storm and Provide Comfort. David received his MBA from University of Pennsylvania’s Wharton School of Business as a Palmer Scholar and his B.A. in mathematics from Harvard University.